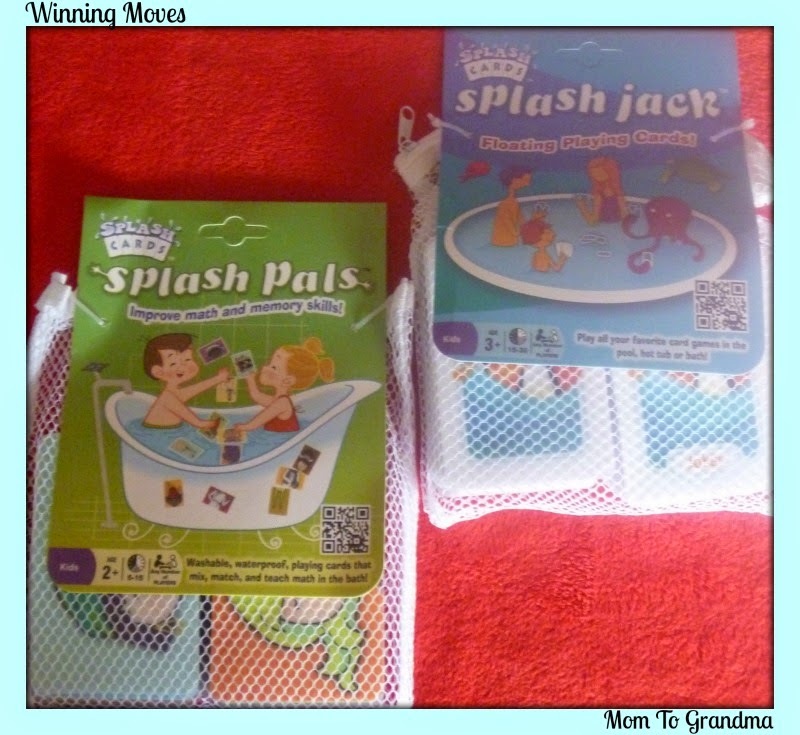 Although we received samples, this is a honest and unbiased review of the classic game Pay Day and two games of Splash Cards from Winning Moves Games . We like to have weekly game night. More so now that the weather in our area is cold and snowy. In fact about 40 miles away from where we live the weather is so extreme they have a driving ban until further notice. So, we pull out a few games and spend our evenings warm inside. Lately, we have had some fun, playing the classic game Pay Day, that we received from Winning Moves Games. I love playing games with my children that I enjoyed playing when I was little. 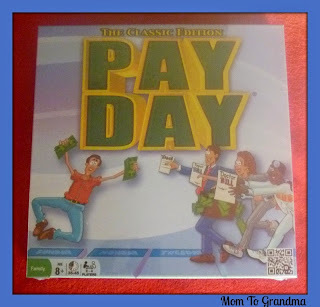 Pay Day the classic game of making and spending money. Its a 31 day calendar like board game. It features things like post cards, money grams and monthly bills. At the end of every month you get paid! We all love this game and it gives the kids a concept of making and spending money. We also received two games of Splash Cards. These are absolutely awesome! Their revolutionary cards that are waterproof, lightweight, washable and they float. Kids of all ages can play in the bath tub, hot tub, swimming pool and anywhere in the water. Splash Jack cards are a deck of floating cards, that can be played by any number of players. My boys love playing Slap Jack at bath time. If you're playing in a pool you can combine diving with a game of Spoons. You can play all your favorite card games in the water such as War, Rummy, or Go Fish. Often the boys also get some education at bath time with Splash Pals. A math and memory card game. With four levels their is something to learn for all kids. Level one is simple recognition of body parts for children 2 years old and under. Level two is matching creativity for 2-3 year olds. Level three is memorization for 3-4 year olds. The last level is math skills for 5-6 year olds. The Splash cards are special, waterproof cards that float and stick to certain surfaces, like the side of the tub when their wet. 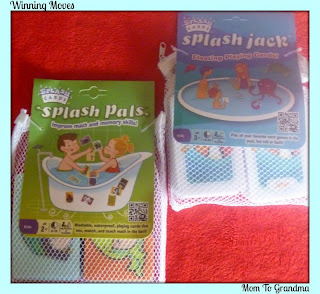 These super-fun Splash Cards are a hit with my boys. It is less of a hassle when I announce its bath time. Four individuals who were very well known and respected in the game industry, launched Winning Moves in 1995. These four men were instrumental in the development and success of Rubik's Cube and Monopoly. They led research and development positions with Parker Brothers and Milton Bradley. This allowed them to have access to the many classic games that were being successfully marketed by these companies. It is a great way to offer fun, well known and respected games at affordable prices to multiple generations. Winning Moves offers a variety of games for kids and adults of all ages. There are card games, board games and puzzles available on their website.